My friend Graciana requested for this recipe. So here it is. 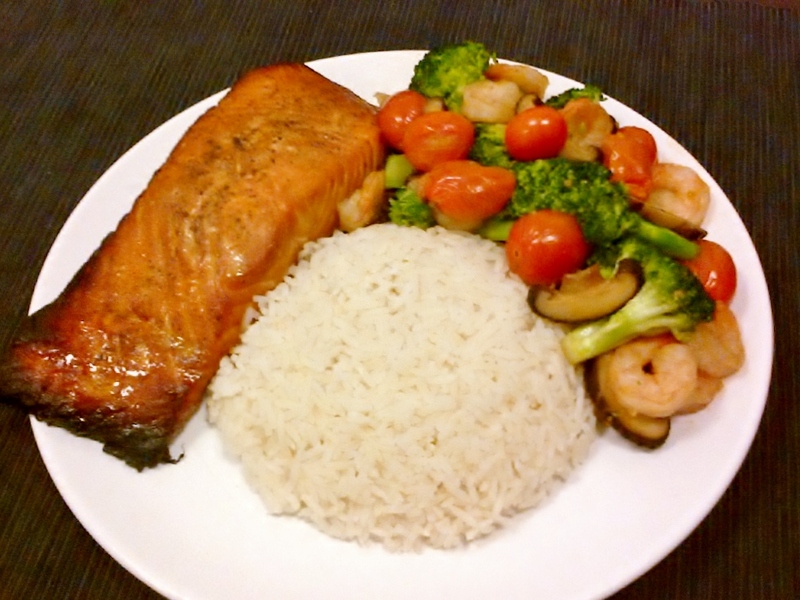 A simple and very delicious all-in-one-meal stir-fry. I chose to use sirloin here but any preferred cut of meat suitable for stir-frying is fine. The kway teow (flat rice noodle) was purchased at NTUC. It’s pre-packaged and not in the fridge section. Has some cartoon character on it. I think it’s pretty good. Any other kway teow you like it fine too. If it is in the dry form, just make sure to boil and drain it before adding to the pan. Add as many or little vegetables as you like. If you are adventurous and can be bothered, topping each plate of the piping hot hor fun with an egg yolk to stir through before eating is very yum as well. Combine beef marinade ingredients except cornstarch. Mix well. Add beef to marinade. Mix well. Let beef marinate for 10 to 15 minutes. Add cornstarch and mix well. Let beef sit in fridge for 30 minutes to an hour. Combine seasoning ingredients in a bowl. Mix well. Heat 2 tablespoons vegetable oil in a pan over medium-high fire. When pan is smoking, add beef and quickly stir-fry till the beef is seared on the outside but not cooked through. In the same pan, heat remaining 3 tablespoons vegetable oil over medium fire. Once oil is hot but not smoking, add garlic and fry till fragrant and barely golden. Add kway teow and chye sim and stir well. 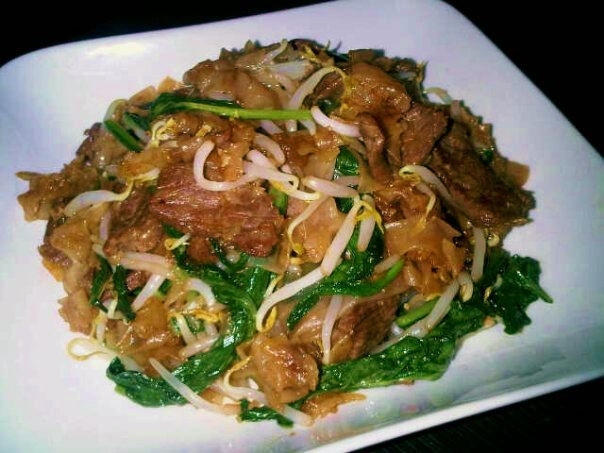 Once kway teow and chye sim are well combined, add seasoning and return beef to the pan. Mix well. Add bean sprouts. Give a good final mix and serve.